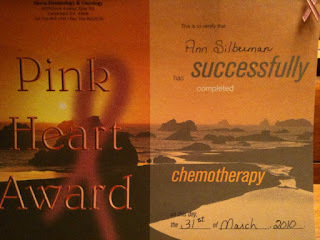 That, my friends, is the certificate that states I have completed chemotherapy. I have so many people I would like to thank in this once in a lifetime experience. 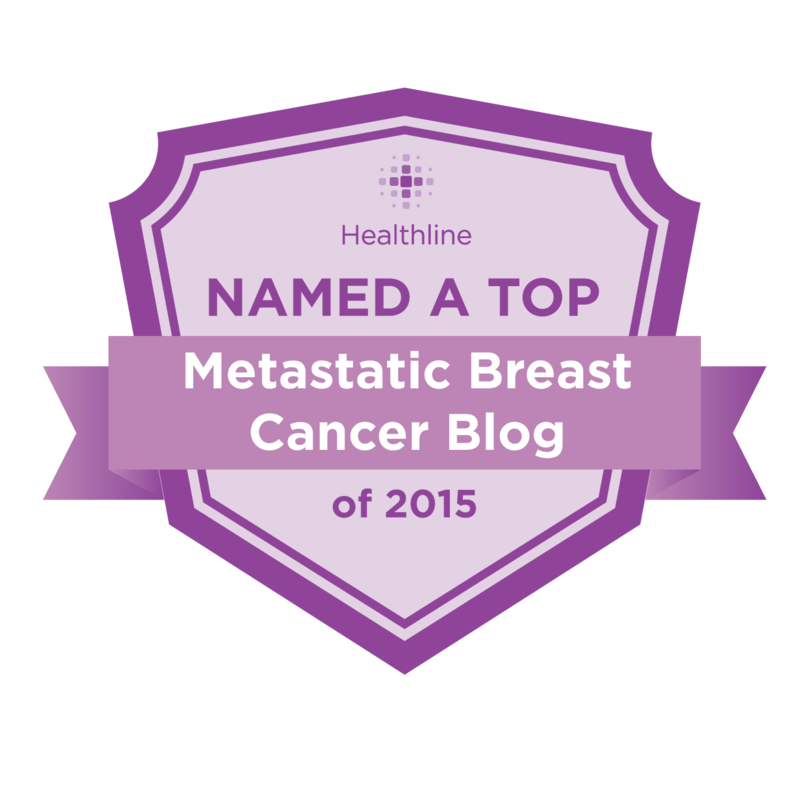 I would like to thank the Academy (of clinical oncologists), for without them, I would not be who I am today: weak, bald and shaky. And, I wouldn't be who I will be in the future - alive. I would like to thank my oncologist, Dr. Blair, of Sacramento Sierra Hematology, for amusing me with his weirdly funny ties. And, oh, that keeping me breathing thing. I would like to thank my oncology nurses, most of whom were nice and some of whom were indifferent, but all of whom could get a needle in my vein. I'd like to thank my agent....wait, I don't have an agent. Why don't I have an agent? If anybody should be famous and making a speech somewhere, it's me. Lastly, I'd like to thank my family for well....not moving out. Man, they make a certificate for everything, don't they? When I got through chemo, I decided I deserved a special something and bought myself a nice watch. Then I booked my first hair cut three months from the end of chemo and started watching it grow in. Congratulations you made it! I made thank you baskets for my team and in addition to candies and cheeses but in mini bottles of Patron. I figure after some days there they need it! Heck you haven't got an agent! I could be your agent! Yeah make 'em hold out for the tequila - in the meantime pour us a couple of glasses to celebrate!